How much money should companies spend on marketing? How much money should companies spend on marketing? Is there a good rule of thumb? Is it 5% of revenue? 10%? Should it vary based on the industry? Digital marketing even further complicates the equation, since we have data available on everything we do online. What’s important and what’s not? Instead of simply choosing a percentage based on conventional wisdom, this article will show you three simple calculations to use when you’re trying to determine how much money your company should spend on marketing. Notice how the closing rate was dramatically higher in the 4th quarter? This sample is from a very cyclical industry, so it’s important we have at least four quarters of data to accommodate this fact. Now that we know how many of our prospects actually become clients (16.8% of them), how much revenue did these 17 new clients from the past year generate? Bonus: Download the high-quality version of this infographic to use in your business. Just enter your email and press Download now. For purposes of this sample, let’s say the 17 new clients spent a total of $94,308. This means that each client’s current value to your company is $5,547.53. Each prospect, then, is worth $933.74 of revenue. Does that make sense? Since we don’t know which of our prospects will become clients, it’s important we pay attention to both of these numbers. Now, we just need to determine the profit per client and prospect. In this sample, we’ll say the company’s profit margin is 38%. The profit per client, then, is $2108.06 ($5547.53*.38), and the profit per prospect is $354.82 ($933.74*.38). A lot of companies – if they get this far at all – stop at this point. They say, “If we’re making a profit from each prospect, then we’re okay.” They then estimate they can spend anywhere between $0 and $354.81 on marketing to each prospect. This is fine if you’re running a one-and-done business. If you’re going door to door selling candy bars as part of a fundraiser, or renting umbrellas on the beach to tourists on a sunny day, this might be a good approach. However, I’m guessing you’re not in that situation. You want to earn the business of clients that stay clients. This next calculation will help you dramatically outperform your competition. Why is this so important? Have you ever looked at a company and said to yourself, “How are they spending this much money on marketing?” Amazon famously did this when founder Jeff Bezos told his sales staff they could spend $33 per new customer, even if that person only bought something for $1. Starbucks spends enormous amounts of money on each new location, based on their calculated customer lifetime value. You can use this same strategy from these famous brands too. 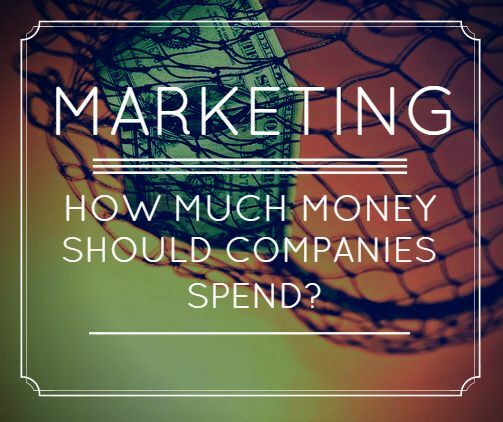 How much money should your company be spending on marketing? The answer is – it depends. Using these calculations will give you much, much more confidence when it comes to your budget, instead of simply allocating 5% or 10% of gross revenue to marketing. Based on the sample company numbers we’re using, if each client is not just worth $5547.53 (the current amount) but actually worth $29,408 (the lifetime value), do you see why the sample company can justify spending more money on marketing using the lifetime value approach? What about in your case? What is the lifetime value of your clients? I’ve seen many companies – after doing these calculations – say, “We realize now we don’t need to generate a profit the first year of a client relationship. Since our clients stay with us seven years on average, the profit will come.” Without this pressure of first-year profits, you can be more selective when choosing new clients. If you do this homework, you can confidently spend more marketing money (and time) attracting the clients you really want. Instead of looking at current value alone, be sure you determine the value of that relationship in its entirety. Here’s another awesome bonus when you’re doing your homework – as you start to calculate each customer lifetime value, you’ll see you have some really fantastic, VIP, A+ clients that are not only really profitable, but really great to work with as well. Wouldn’t you love to duplicate them without spending money? You can, and the next step is to use this no-cost strategic referral system to attract more VIP clients. Excellent article, Spence! This is a great way to consider one’s marketing budget. Your example really helped me to understand the concept, which can only be attributed to your awesome teaching ability. Thanks for helping so many of us get smarter with how we think about our businesses! Thank you so much, Barbara! I’m really glad you like the article, and thank you for your kind words!